Sales Manager for the event Sharon Yandell commented: “It has never been busier after a show and we have seen a fantastic response to our new look 2014 event, with previous exhibitors rebooking quickly to secure preferred positions and many new companies and venues wanting to participate at the NEC for what is clearly the market leading exhibition in the groups and coach tourism sector”. Glen Thomas of exhibiting company Travelsphere commented: “We had a phenomenal amount of enquiries. We often see existing clients to reinforce relationships but this year we actually made contact with many new clients which we are over the moon about”. Visitor to the show Stephen Latham of Cheswick Green U3A was typical of many GTOs who visited the exhibition: “What I have done here in a few hours easily replaces a week or ten days’ worth of work in contacting venues and companies. To have an event like this for group travel is marvellous”. Sharon Yandell summed up: “We are delighted with our 2014 success. We set out to regenerate the show with new ideas and themes. 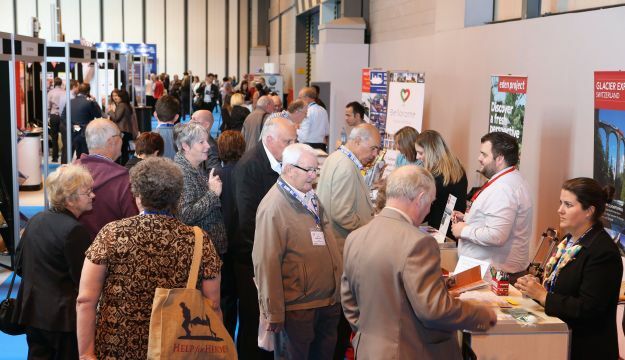 We now look forward to 2015 and my message to exhibitors is book early, as we expect a sell out in 2015”.